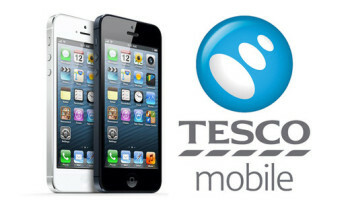 Tesco Mobile is one of the more successful Tesco non-food businesses. It operates on the O2 network and is able to offer cheap tariffs because it buys capacity in bulk from O2 and does not have the huge upfront costs of rolling out towers across the country. It sounds pretty obvious that, as a Tesco subsidiary, if you are using Tesco Mobile you will receive Clubcard points for your spending. However there are a few things you need to know before you can start earning Clubcard points with your calls, messages and data. This is especially true if you are a ‘pay as you go’ customer as there is a trap you can fall into. First of all, your Clubcard has to be registered with Tesco Mobile. You can do this online or on your phone. As a ‘pay as you go’ customer you need to go onto the My Tesco Mobile website, log into your account and then add your Clubcard number. If you are a ‘pay monthly’ customer you need to log into your account on the pay monthly website and add your Clubcard number. Note that only the main account holder can register a Clubcard. The easiest way however according to Tesco is to simply call 282 for free from your Tesco Mobile and follow the prompts. Once your Clubcard is registered you can start earning Clubcard points. ‘Pay as you go’ customers receive 1 point for every £1 they top up – but ONLY when topping up through the top up hotline 4444, online or in Tesco stores. Cash machines and E top-ups at non Tesco stores will not earn any Clubcard points! As a ‘pay monthly’ Tesco Mobile customer you don’t need to do anything after adding your Clubcard to your account. You will simply receive 1 point per £1 on your pay monthly bill. Note that if you are on a capped contract and you top up, you need to follow the same rules as pay as you go customers: top up via the hotline 4444, online or in Tesco stores. Your Clubcard points will be added to your next available Clubcard statement and added to those your earn from your shopping, Tesco Direct etc. You can find out more about Tesco Mobile and other Clubcard partners on the Tesco website. We have our 3 mobiles on one Tesco mobile account which gives you additional family perks of either more data or more minutes – each family member can pick what they want – also you can sign up for Xtras – this allows you to reduce your bill by £3 per person if you can put up with the advertising that pops up – my hubby does it – his SIM deal is £7.50 per month reduced to £4.50 by using Xtras and the Clubcard points drop in to our account each month. Can you pay the monthly bill via credit card with no extra charges? & earn more points that way. Either Tesco bank credit card or ba amex. You can go in to your account and pay by credit card but not an Amex – I use my IHG each month – pay the bulk by credit card and leave a couple of pounds on the direct debit. Don’t think you earn Clubcard points using your Tesco credit card – not tried it.